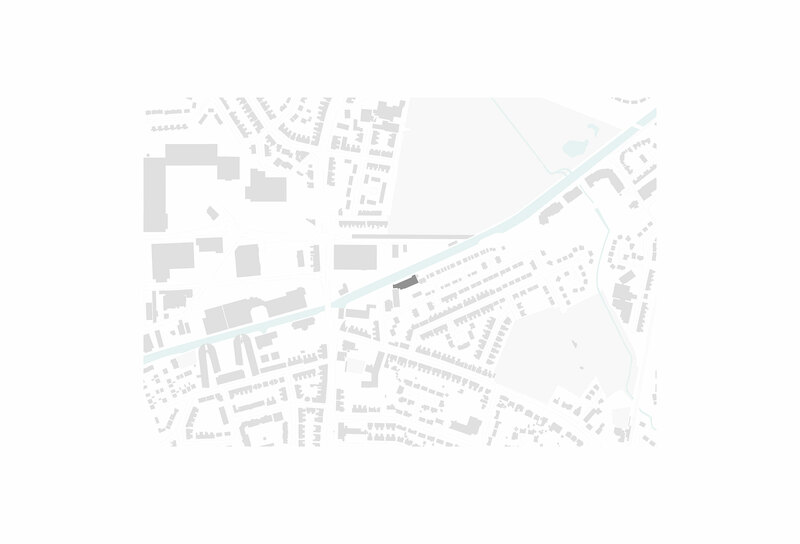 Bridgewater Road is residential development situated on a canal side post-industrial site in Altrincham. 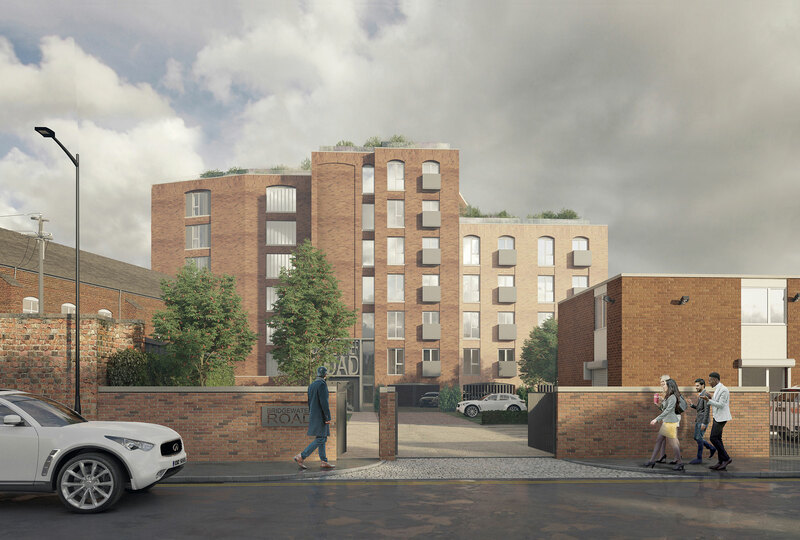 Comprising 42 apartments above undercroft parking and a landscaped courtyard in front, with a new public route created along the Bridgewater Canal anticipating improvements to future connectivity and local public amenity. Architecturally, the design follows a contextually sensitive approach sympathetic to the area, drawing on historic patterns of development whilst adding to the ongoing narrative of the site. 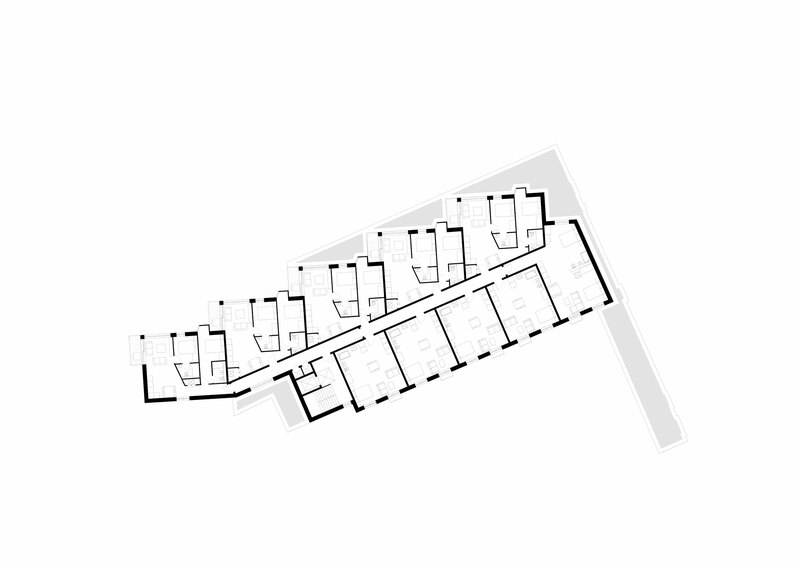 The building form steps down to relate to the local residential scale and steps up to respond to the nearby Budenberg apartments. In addition, the plan is staggered along the north facade to address adjacent existing geometries whilst providing enhanced views along the canal from private balconies and terraces, catching the gentle evening sun. Angled windows along this facade allow two bedroom apartments a perfectly framed view of Manchester Road without overlooking neighbouring terraces, whilst south facing balconies help to animate the courtyard side.